The DC CFAR is pleased to announce that Dr. Lisa Bowleg has joined the Social and Behavioral Sciences (SBS) Core as Director, beginning in January 2018. Dr. Bowleg is a professor of applied social psychology at the George Washington University Columbian College of Arts and Sciences whose research focuses on the effects of individual-level and social-structural factors and resilience on Black men's HIV sexual risk and protective behaviors. She is the PI/joint PI of two ongoing NIH/NIMH funded R01 studies in Washington, DC. Men Count is an intervention with unemployed and/or unstably housed Black heterosexual men. Menhood examines the effects of neighborhood and individual-level stressors and resilience on Black men's sexual risk. She is also a leading scholar of the application of intersectionality to social and behavioral science research. As SBS Core Director, Dr. Bowleg will join the DC CFAR Executive Committee and will help shape the future of the DC CFAR's work. 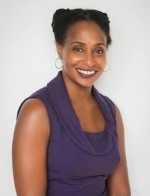 Please join us in welcoming Dr. Bowleg to the DC CFAR leadership team!